Robert Arthur Talbot Gascoyne-Cecil, 3rd Marquess of Salisbury KG GCVO PC DL FRS (3 February 1830 – 22 August 1903), styled Lord Robert Cecil before 1865 and Viscount Cranborne from June 1865 until April 1868, was a British Conservative statesman, serving as prime minister three times for a total of over 13 years. He was the last prime minister to head his full administration from the House of Lords. Lord Robert Cecil was first elected to the House of Commons in 1854 and served as Secretary of State for India in Lord Derby's Conservative government from 1866 until his resignation in 1867 over its introduction of Benjamin Disraeli's Reform Bill that extended the suffrage to working-class men. 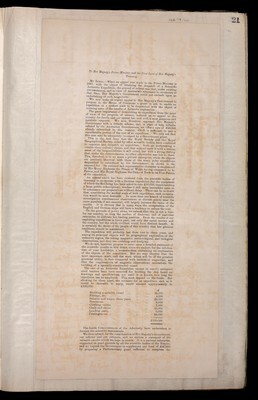 In 1868 upon the death of his father, Cecil was elevated to the House of Lords. In 1874, when Disraeli formed an administration, Salisbury returned as Secretary of State for India, and, in 1878, was appointed foreign secretary, and played a leading part in the Congress of Berlin, despite his doubts over Disraeli's pro-Ottoman policy. 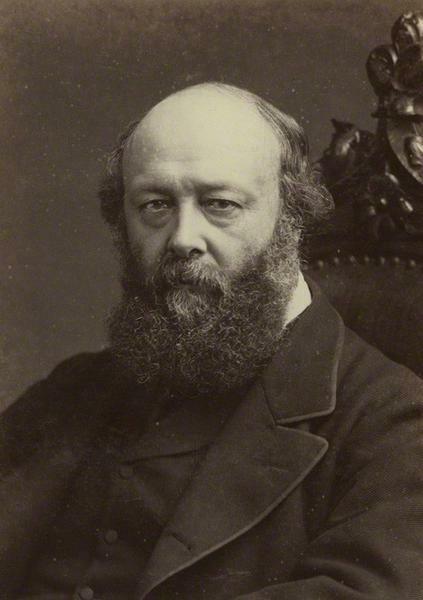 After the Conservatives lost the 1880 election and Disraeli's death the year after, Salisbury emerged as Conservative leader in the House of Lords, with Sir Stafford Northcote leading the party in the Commons. He became prime minister in June 1885 when the Liberal leader William Ewart Gladstone resigned, and held the office until January 1886. When Gladstone came out in favour of Home Rule for Ireland, Salisbury opposed him and formed an alliance with the breakaway Liberal Unionists, winning the subsequent general election. He remained prime minister until Gladstone's Liberals formed a government with the support of the Irish Nationalist Party, despite the Unionists gaining the largest number of votes and seats in the 1892 general election. The Liberals, however, lost the 1895 general election, and Salisbury once again became prime minister, leading Britain to war against the Boers, and the Unionists to another electoral victory in 1900 before relinquishing the premiership to his nephew Arthur Balfour. He died a year later, in 1903. Historians agree that Salisbury was a strong and effective leader in foreign affairs. He had a superb grasp of the issues, and was never a 'splendid isolationist' but rather, says Nancy W. Ellenberger, was: A patient, pragmatic practitioner, with a keen understanding of Britain's historic interests ... He oversaw the partition of Africa, the emergence of Germany and the United States as imperial powers, and the transfer of British attention from the Dardanelles to Suez without provoking a serious confrontation of the great powers. Paul Smith characterises his personality as "deeply neurotic, depressive, agitated, introverted, fearful of change and loss of control, and self-effacing but capable of extraordinary competitiveness." A representative of the landed aristocracy, he held the reactionary credo, "Whatever happens will be for the worse, and therefore it is in our interest that as little should happen as possible." Searle says that instead of seeing his party's victory in 1886 as a harbinger of a new and more popular Conservatism, he longed to return to the stability of the past, when his party's main function was to restrain demagogic liberalism and democratic excess.